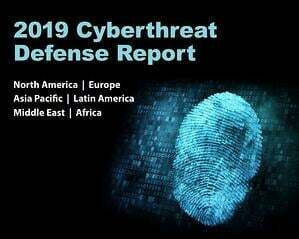 Organizations Face a 63% Likelihood of Being the Victim of Successful Cyberattacks in Next 12 Months | AT-NET Services, Inc. The latest data from 1,200 IT organizations shows organizations seeing cyberattacks as inevitable and, for some industries, successful compromise as even more a given. These methods of attack are nothing new, which raises the question why are these kinds of attacks still happening? According to the report, most organization face the very real likelihood of being compromised (not just attacked – compromised) in the next 12 months. Industries like Education and Retail face a nearly 75% likelihood of compromise – something that simply can’t be ignored. So, what’s keeping organizations from establishing an effective defense? It should be noted that skilled personnel and security awareness tied for second place. What’s interesting is that by addressing low-security awareness – which reduces the attack surface and likelihood of successful attack – there’s less need for skilled security personnel and less need to sift through data to make sense of potential attack behaviors. By adding Security Awareness Training to the strategy, organizations can add the user in as another layer, helping to identify and stop attacks before they begin. By educating users to be security-minded when surfing the web and interacting with email, they can reduce the likelihood of successful attack by not engaging in scams, clicking malicious links, or opening unknown attachments. The report makes the point that organizations are aware of the problem. It’s time to do something about it that will be effective and have an impact in the fight against cyberattacks.